The Consumer Electronics Show is the world’s largest gathering for all those who thrive on consumer electronics. CES 2019 is owned and organized by the Consumer Technology Association and serves as one of the largest gatherings of media, companies, innovators, tech bloggers, and more every January. CES 2019 kicked off at the Las Vegas Convention and World Trade Center on Jan. 8 and the event drew a huge audience from all around the globe. Various tech giants such as Samsung, Dell, Sony, and LG along with other small startups showcased their various innovations and consumer electronics at the event. There were hundreds of products launched in as many as 24 product categories including televisions, wearables, mobiles, gaming consoles, robots, and home appliances. However, among all the products and innovations launched at the event, here are our top picks and highlights at CES 2019. CES 2019 had some immensely large, impressive, and feature-packed televisions showcased. TV manufacturers displayed their latest technology and innovations in the entertainment segment through their increasingly high-tech products. While we have been seeing a tremendous improvement in TV’s picture quality, features, and connected technology, something that has remained constant over the years is the shape of the televisions. However, thanks to the LG’s Signature Series OLED R, televisions are now “rollable” — they unfurl out of a box. Users can unroll the television out of the box by a click of the button. This saves a lot of space and can improve a room’s decor when not in use. The TV comes with a 65-inch OLED panel and is powered by a 2nd-generation Alpha a9 processor and runs on WebOS 4.5 with Alexa. 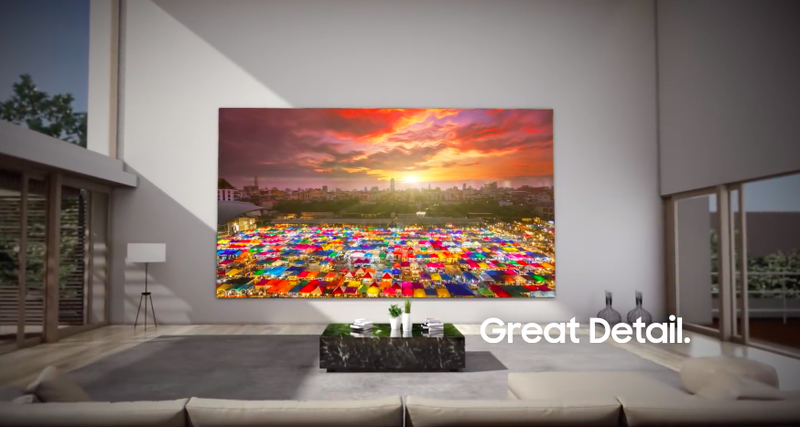 While LG stole the show with its Signature OLED R series innovative form-factor, Samsung managed to attract the masses with its humongous 219-inch television named simply The Wall. The company also launched a compact 75-inch variant, branded as The Window. There were several other interesting launches in the television segment at CES 2019. 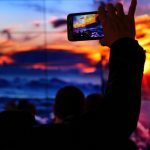 But considering the pace at which TV makers are bringing out newer, better, and more innovative aspects, we can expect a lot more of foldable, rollable, or even modular screens with high resolution and other features in the coming years. Laptops, tablets, and other computing devices are now much more affordable and much more advanced in terms of the specifications and features they offer. Many companies such as Dell, LG, Lenovo, HP, and more launched their newest computing devices at CES 2019, and here are some of our top picks. Dell XPS 13 has been known for its ultra-portable form factor along with powerful innards. 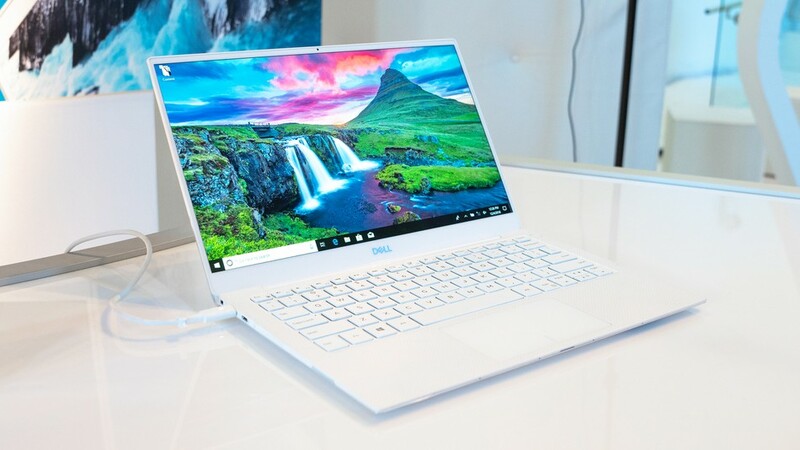 The company unveiled the 2019 variant of Dell XPS 13, with better features and specifications. The laptop comes with an option for a 4K Dolby Vision HDR screen with even slimmer bezels. Best of all, the webcam is back on the top portion of the screen and is now one of the most portable windows laptops yet. Lenovo launched a much cheaper alternative of the Surface Studio 2 in the form of Yoga A940. Surface Studio 2 is a very powerful machine for graphic designers but comes at a high price tag, making it difficult for everyone to buy it. 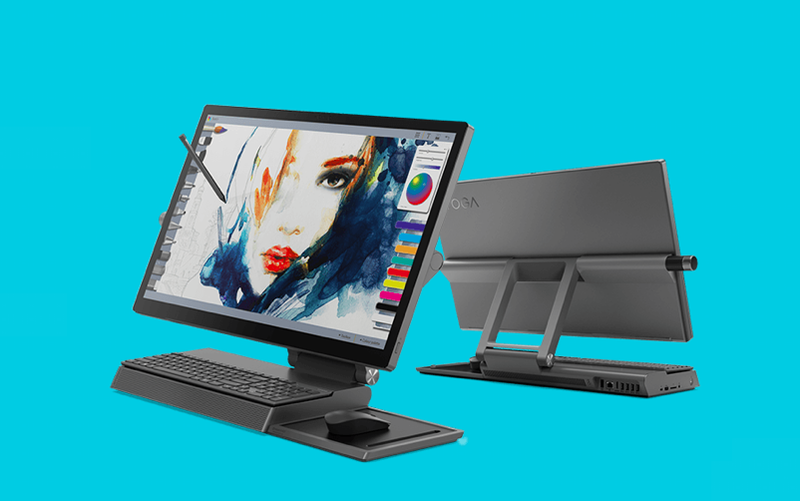 However, Lenovo’s new Yoga A940 is a desktop variant and a very affordable alternative to the Surface Studio. The device also comes with a unique precision dial that helps users to control the design and graphics being made on it. The display comes with a rotating hinge, which lets the users adjust it as per their needs. Alienware M17, HP Spectre x360 OLED, LG Gram 17, Acer Swift 7, and Asus ZenBook S13 were among other computing devices launched or unveiled at the event. Fitness and wearable technology is advancing at an unprecedented pace. The devices now come with advanced technology, more sensors, better calibration, and with better fabrics for the comfort of wearing. Withings Move ECG is a very affordable fitness watch that comes with an advanced sensor to monitor the heartbeat and ECG. At CES 2019, the company said that the devices will last one whole year on a single battery and users won’t have to deal with recharging the watches like with most other smartwatches. The company also claims that their device will improve the health of its users. 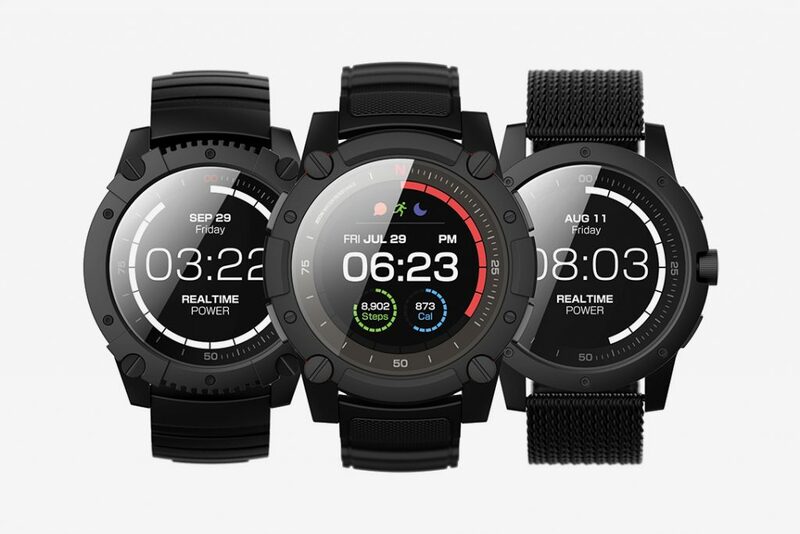 Matrix PowerWatch 2 is a yet another battery-free smartwatch that runs on a solar cell to generate the power. The watch comes with a built-in heart rate monitor, GPS sensor, and a beautiful full-featured display. The smartwatch comes with a durable strap and casing and is priced at $200 as an early-bird offer. 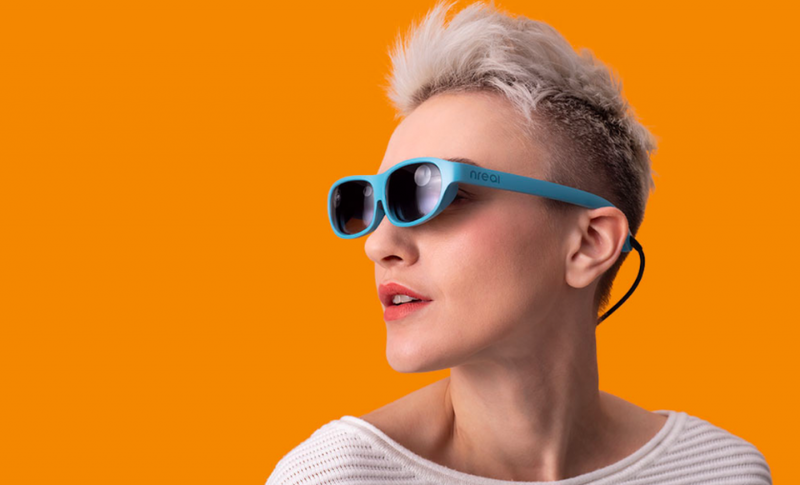 Nreal Light is a compact mixed reality headset that looks like an ordinary pair of sunglasses. The Chinese startup has proved that one won’t have to deal with chunky headgear to experience mixed reality. There were also some interesting launches in the sports segment at CES 2019. 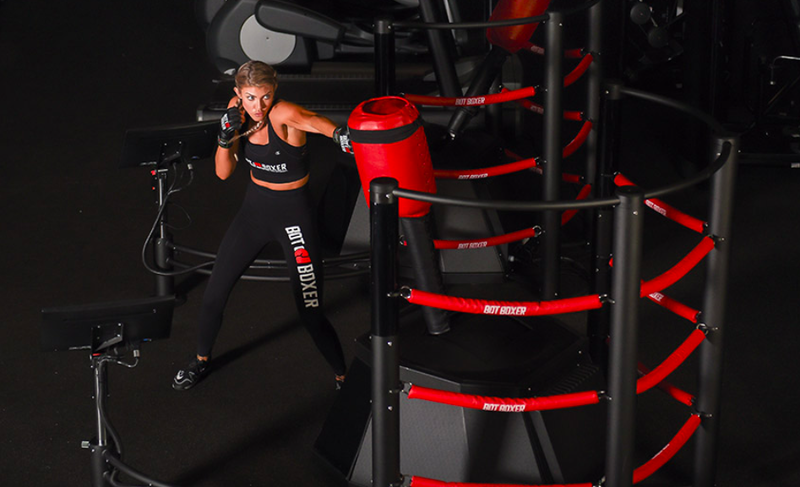 SkyTech Sport is a gym equipment manufacturing company that gained a global reputation for the simulators used to train the U.S. Olympic ski team. The company showcased innovative robot boxing gear, BotBoxer. BotBoxer is essentially a punching bag on a stick with a lot of tech underneath. It comes with motion and pressure detectors to detect, monitor, and analyze a boxer’s movements. JaxJox Kettlebell Connect is yet another interesting sporting smart gear showcased at CES 2019. Kettlebell is a small, compact, and easy-to-use workout solution for many. The device’s weight can be digitally adjusted from 12 to 42 pounds, which allows users to work out at comfortably. The device can also track other health information by pairing with other fitness trackers or wearables such as FitBit and Apple Watch. CES every year has a lot of kitchen appliances launched and showcased by companies. But this year, there was something new in the form of BreadBot. BreadBot is a giant bread-making machine that can make 10 loaves of bread per hour. Although the device is not for an ordinary person’s kitchen, the device is still an out-of-the-box innovation, one of many showcased at CES 2019. Groove X Lovot was a unique, one-of-a-kind robot featured at CES 2019. Unlike most bots that are designed to perform some particular tasks to reduce human efforts, Lovot is meant to make you smile. The bot is the size of a toddler and comes covered in fur. Lovot comes with a lot of sensors in it and can respond to how you deal with them — it laughs when you tickle it, for example. Definitely a unique and cuddly innovation, isn’t it? There were various other products such as many smarthome devices, music and audio gear, smartphones, chipsets, and peripherals launched and unveiled at CES 2019. Irrespective of the product, CES 2019 gave us another chance to witness innovation, technical advancements, and engineering marvels.